"YOU CAN COUNT ON PEACH'S!" EXPERT APPLIANCE REPAIR - PRICES YOU WON'T BELIEVE! The goal of Peach's Appliance Repair of Sandy Springs, GA is to provide our customers with total satisfaction. If you have an appliance like an oven or washing machine that has ever broken down, then I know that you might have tried to repair it at some point before calling in the professionals. If this is the case, then you are familiar with how difficult and stressful it is. If you are a Sandy Springs GA resident, then you are in luck because Peach's Appliance Repair of Sandy Springs is at your service no matter what time of day or night. We are good listeners, and we apply this skills when we first talk to you over the phone. When you have a broken appliance, you do not need added stress in the form of a company that doesn’t listen to you but makes their assumptions regarding what problem you are facing and then coming to your place not prepared to handle the real issue. This can turn your already bad day into a worse one because the technician will have to go out again to get the actual parts that he needs after finding out that the issue is different from the one he was prepared to handle. Our customers testify to having 100% satisfaction, and this is one of the things we proudly offer. We are very sure that we will leave you smiling after we are done repairing your appliance. This is something we do every time we are involved in a repair in Sandy Springs. We have licensed and insured repairmen. We take our work seriously, and that is why we hire people who can do an excellent job. Our team is highly trained and experienced. 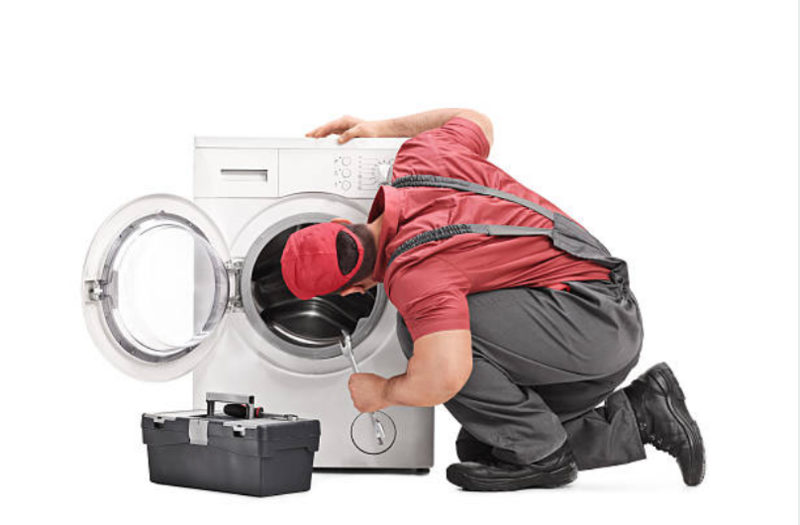 If you have any questions about appliance repair, we are happy to answer them. We also have a comprehensive section meant for the FAQ on appliance repair, and you can find this on our website! Step #1. When using your appliances, you may realize that one is not working perfectly or is broken. 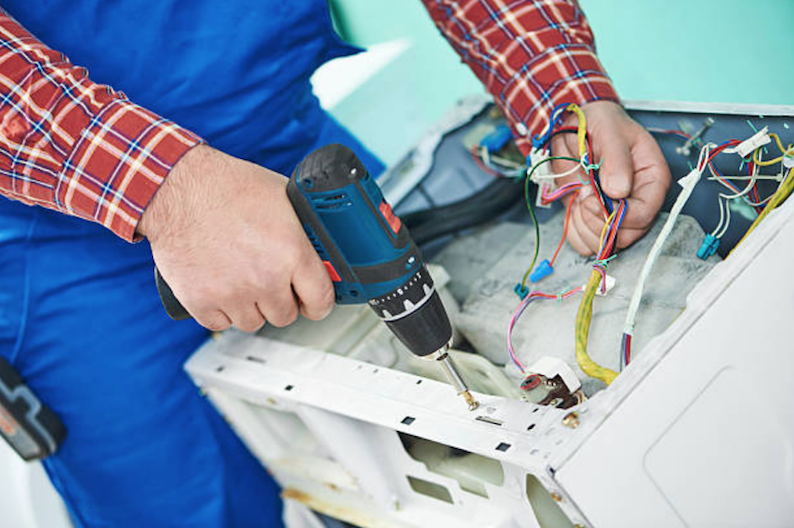 We repair all appliances whether it is a flatscreen or a dishwasher. It does not matter how small the appliance is; we can repair it. Step #2. It is possible that you may know our company through the great reviews we receive, through a recommendation from a friend or through the internet. We have grown our reputation in Sandy Springs, GA area and our excellent work over the years has given us plenty of loyal customers. You will be surprised to discover that we come highly recommended in Sandy Springs. Step #3. There are various ways of getting in touch with us. For example, you may get us online or get our phone number. Therefore, calling us is the best way to get in touch with us. Alternatively, you can fill out our contact form which is accessible online. When you do that, we will get in touch with you as soon as possible. Step #4. When you call us, or we get in touch with you on the phone, we’ll need as much information as possible. Therefore, we may ask you several questions. If you like, you can first tell us comprehensive information on what the problem is which will help us to identify any obvious issues and know what the problem could be with your appliance. Step #5. 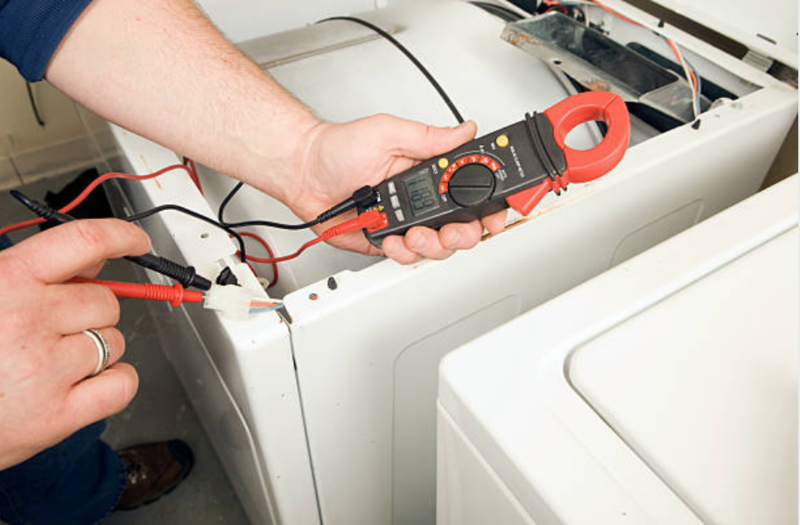 After understanding what could be wrong with your appliance, we can do two things. First, while talking to you over the phone, we can suggest some troubleshooting ideas that you can try and see if the appliance continues working or we can make an appointment to come check out the appliance. If we decide to go with the second solution, then we will inform you approximately 2-4 hours before the arrival of our techs. Also, we’ll give you our quotation before we set out for your place. Step #6. Once we have agreed to come to your place, we keep time and come professionally dressed. You do not have to worry about bringing us your appliance because we come to where you are. Step #7. We will take the shortest time possible to identify what the problem is with your appliance and then repair it in your home. Step #8. After repairing your appliance, we make sure that you are 100% satisfied with our work before billing you, which we do once. Step #9. When we are done with your appliance, it will be in good working condition, and you can happily continue using it. Hopefully, you’ll consider next time you have a problem with an appliance so we can fix it even faster than the first time. Have on your speed dial, and you will never regret it. Call us anytime, at 404-800-9297 to get a free quote over the phone! Q. 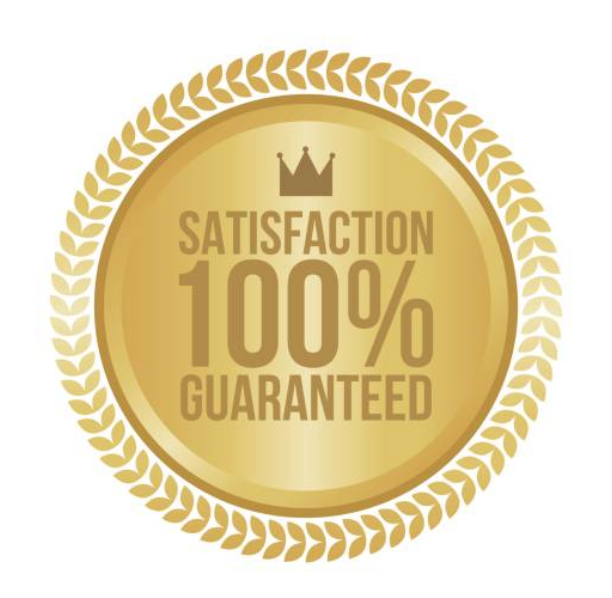 The most frequent question we get is whether we guarantee our customers 100% satisfaction. A. The answer is yes we do. Helping our customers is our joy, and we do everything in our power to ensure that take care of our customers’ needs and that they are delighted with our services. Q. How long does it take for your repairmen to arrive? Will it take hours before they show up? A. No, it will not take hours for the repairmen to come because we take the shortest time possible to release our techs to attend to your needs. It usually takes about 2-4 hours for them to arrive. If for some reason, we can make it before the time mentioned then we will first alert you through a phone call. 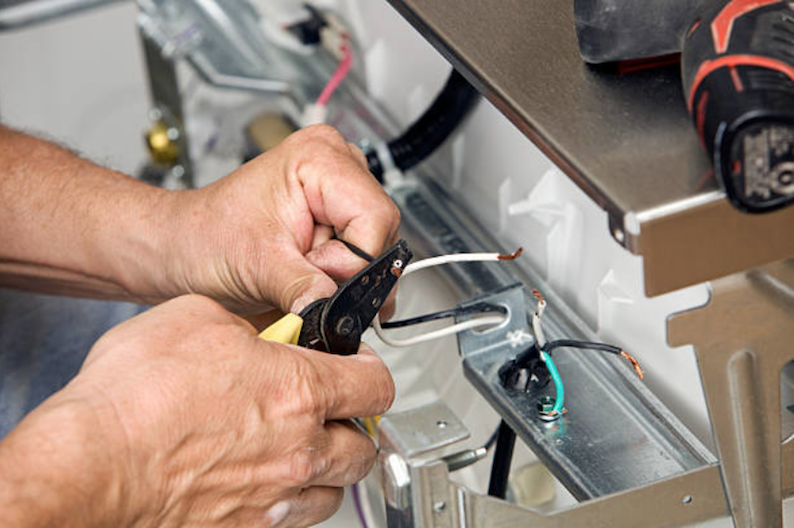 ​Most of the time, we do repair an appliance efficiently in the shortest time possible without going to the supply house several times to get what we need because we usually arrive with our trucks which have the standard parts that various appliances need. Q. How much do you charge? Can you give me a quote? A. 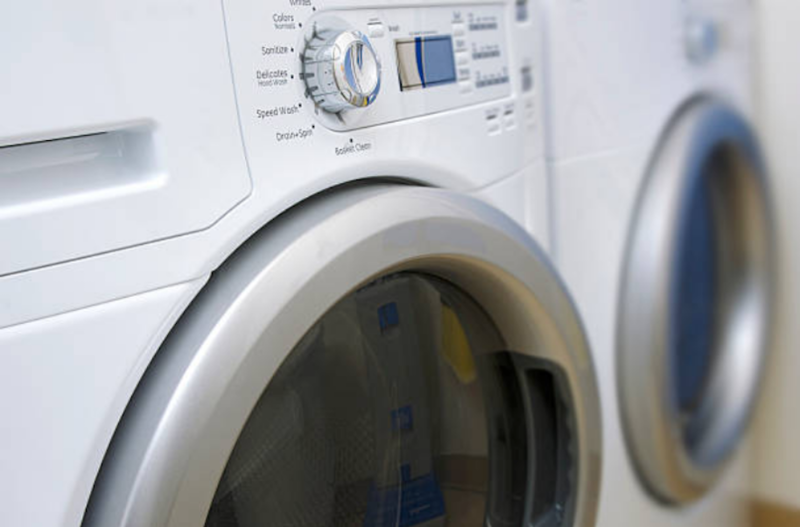 Several factors will determine how much we’ll charge for repairing your appliance. Some of these factors include the brand of your appliance, the amount of damage done to the appliance and the kind of home appliance we are talking about. Once we get this information, we give you quotes over the phone. Besides, there is a reward for you if you help us diagnose the problem with your appliance and this reward is a $25 discount on the total cost. If you have found yourself in a situation where your icemaker spills ice everywhere because it is broken, then you know that it’s not fun at all. You don’t need to keep stepping into a puddle of water every time you go to the kitchen. SUFFERING A BROKEN DRYER DISASTER? You may be enjoying watching a movie when you are interrupted by a loud and horrible noise. This startles you, and you decide to go check it out only to realize that it is your dryer that is making that terrible noise. Apparently, it is broken. This is a stressful situation. Have you ever had a lot of cooking and cleaning to do and then you clean your dishes using your dishwasher only to realize that nothing is happening even when you switch it on? You know that your dishwasher has a problem, but you cannot point out the problem even if you open the dishwasher. When this happens, pick up your phone and call Peach's Appliance Repair of Sandy Springs. Appliances are meant to make our lives easier, but when they get broken, they have the opposite effect. This is why you need an appliance repair company that will help sort out this problem effectively and efficiently. Once you try us, you will always have us on speed dial. Our joy comes from making homeowners happy by fixing their appliances and for them to know that they can always rely on us when they have a broken appliance. Instead of spending a lot of money on buying new appliances, our customers simply call us, and we get their appliances working again. By doing this, we save you both the time you would have spent trying to fix the problem yourself and the money you would have spent on a new appliance. This is an excellent deal. We would never tell us to try and repair an appliance yourself. 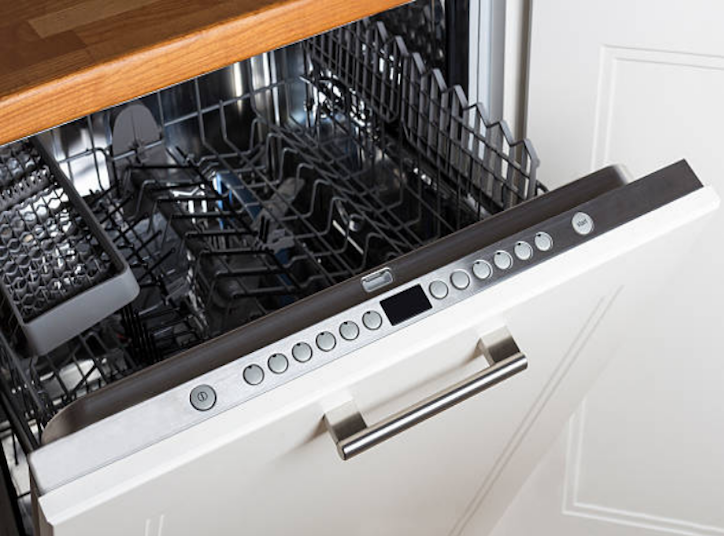 However, we can tell you to take good care of your dishwasher to ensure you use it for a longer period. Inspect your dishwasher to see if it is leaking. After washing plenty of dishes, always empty the washer. Make sure your dishwasher is clean and doesn’t have mildew. Get in touch with us immediately, and we will fix the problem! A broken dryer is the very worst. Especially in a home with a lot of children. 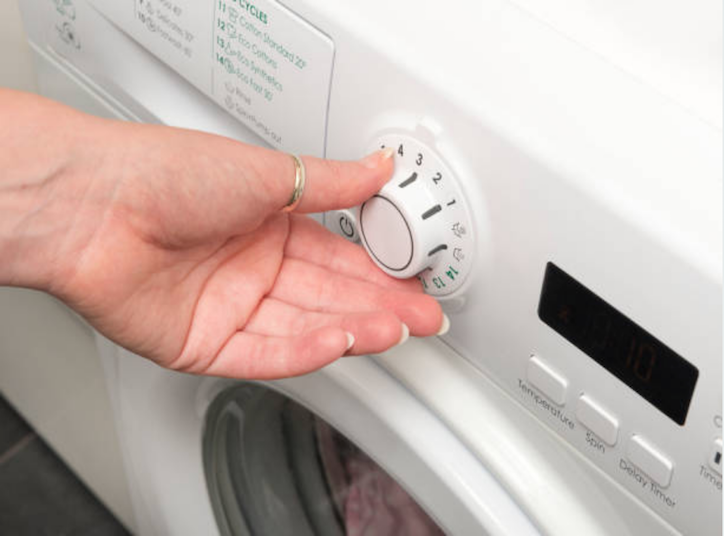 Here are some reasons why your dryer might not turn on? Inspect each of these troubleshooting items and call us and inform us of the issue right away. WHAT IS YOUR GEORGIA SERVICE AREA? We provide appliance repair services for the most areas of Georgia. The main areas we cover are Fairfield, Sandy Springs, West Atlanta, and Johns Creek. Our customers love us, and the feeling is mutual. You can check out our testimonials page to attest to the numerous positive reviews we have received. It has plenty of moving parts that food and dirt can get into and block. It is constantly exposed to moisture which can make the parts to break down with time. Heavy dishes can overwhelm the rack and cause it to bend. The seals and spinning arms eventually become worn after being used for a long time. The residents of Sandy Springs have experienced our professionalism and excellent services, and they have come to love us. That is why they give us referrals on a daily basis and leave great reviews. We do not go appear at a customer’s home, fix the broken appliance, and that’s it. We go a step further to ensure that you are thrilled with our service. Therefore, we offer our best every time, and this is what has landed us many referrals. We genuinely want to help other people. This is the foundation of our company. Our company has grown, and we have employed several technicians who move with several vehicles all over Georgia to provide appliance repair services. We are continuing to grow, and we believe that this is a result of the high-quality work we deliver and the dedication we have towards our customers. Besides that, we offer affordable prices, and we are flexible according to our customers’ budget. When you hire us, we will not only meet your expectations, but we will succeed them.